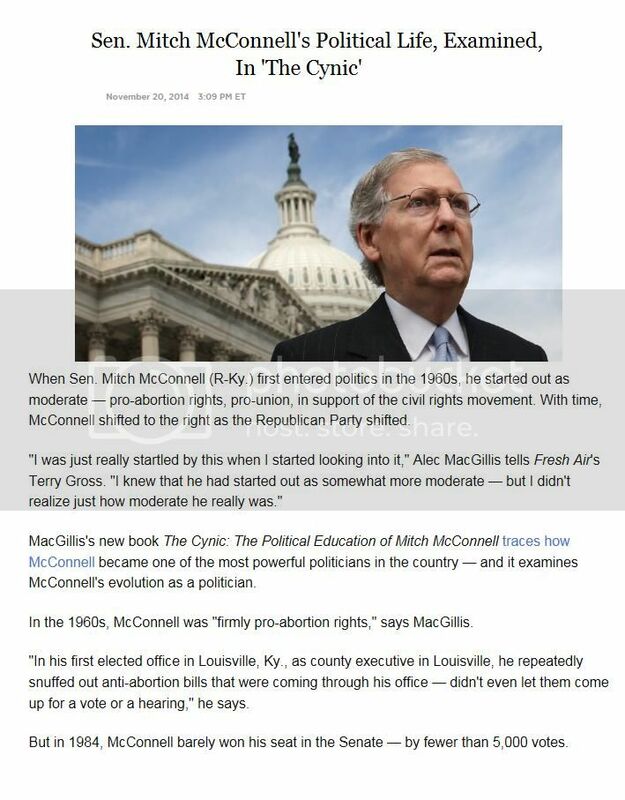 McConnell, to me, embodies two things in politics today: One is the transformation of the Republican Party from a party that used to have quite a few moderate and liberal members and Northern liberal Republicans  Midwestern moderate Republicans  into a party that is now much more monolithically conservative and really Southern-dominated.
? I have a feeling that somewhere in the minds of people like Mitch McConnell, (hypothetically) this nonsensical and backward way of thought will only survive if they do what Pol Pot did in Cambodia and that was to execute anyone who was perceived as having half a brain. If they could do that, they can stop humankind from moving forward and keep the world's societies, irrational, brainless and full of fear. Excerpt: Anti-intellectualism is a common facet of totalitarian dictatorships to oppress political dissent. The Nazi party's populist rhetoric featured anti-intellectualism as a common motif, including Adolf Hitler's Mein Kampf. Perhaps its most extreme political form was during the 1970s in Cambodia under the rule of Pol Pot and the Khmer Rouge, when people were killed for being academics or even for merely wearing eyeglasses in the Killing Fields.